As Montgomery County prepares for thousands of canines to take over the area for the National Dog Show next month, art is imitating life. This year, part of the National Dog Show Month leading up to the event at the Greater Philadelphia Expo Center in Oaks November 18-19, is an art exhibit celebrating the human-animal bond. Exhibit B Gallery on Main Street in Souderton will be featuring work from the region’s outstanding artists depicting man’s best friend. The artwork will be on display and for sale from 6 to 8 p.m. Oct. 27, 11 a.m. to 7 p.m. Oct. 28 and 12 to 4 p.m. Oct. 29. 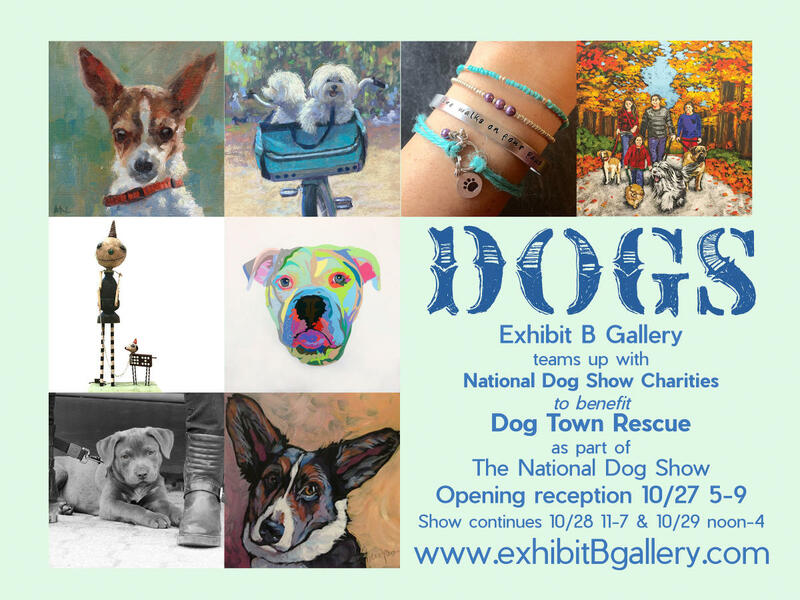 The gallery, Dog Town Rescue and National Dog Show Charities joined forces for the showcase. Offering the space at no charge, Exhibit B is also donating a portion of all canine art sales at the event to Dog Town Rescue, a Montgomery County non-profit and volunteer-run rescue and adoption center funded by donations. A century-old tradition, the annual pup extravaganza culminates in two all-breed dog shows with the Saturday program being aired nationally on NBC Thanksgiving Day. 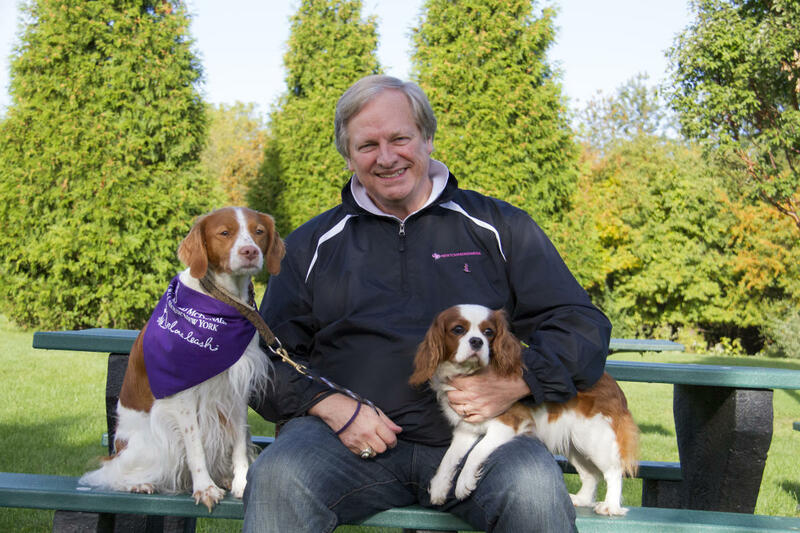 Visitors will also see agility, search and rescue and therapy dog demonstrations. Not to mention, guests have more than 1,600 restaurants, 100 miles of trails, and tons of family-fun attractions to explore while they’re here! Just like in previous years, the month leading up to the dog show will also highlight a children’s musical theater program and a fundraising gala. 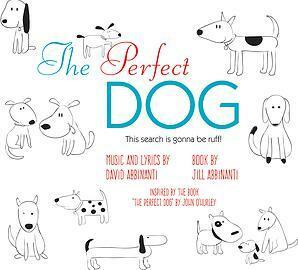 “The Perfect Dog” theatrical production will be performed at 7 p.m. Nov. 10-11 and 2 p.m. Nov. 12 at the Footlighters Theater in Berwyn. Special guest actor and National Dog Show host John O’Hurley will be at the 7 p.m. performance on Nov. 16. The children’s musical was inspired by his book. Comedian Jay Black and country music artist Kendal Conrad will perform at the National Dog Show Gala from 6:30 to 9:30 p.m. at Valley Forge Casino Nov. 17. The fundraiser benefits the Philadelphia Ronald McDonald House, the Philadelphia Animal Welfare Society and the Pennsylvania Veterinary Foundation. A charity dog walk was also held in Wayne in October to help kick off the dog show celebratory month benefitting the McDonald House, New Leash on Life USA and other rescue and community service causes. One of only three shows in the United States that’s “benched,” the dog show’s 2,000 canines, including some 200 breeds, are all located in specific areas throughout the day to interact with the public. Tickets are $16 for adults, $7 for children ages 4-12, and free for kids under three. 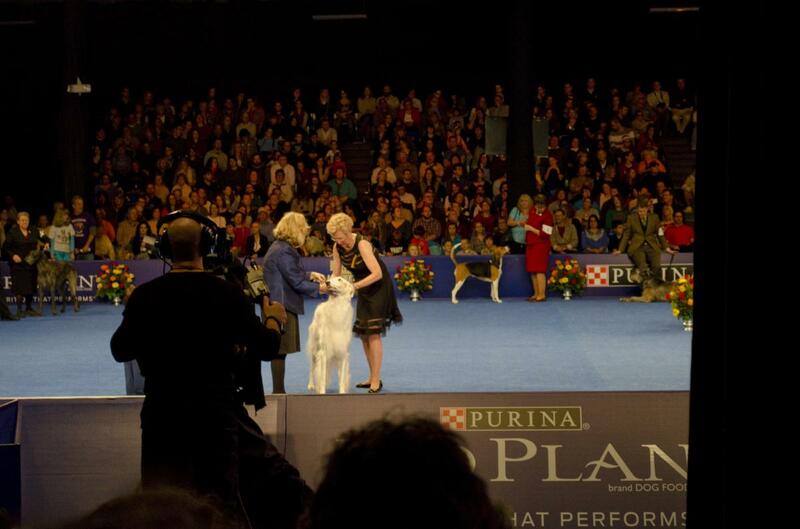 The event is presented by Purina and the Kennel Club of Philadelphia. For more information, visit nationaldogshow.com.